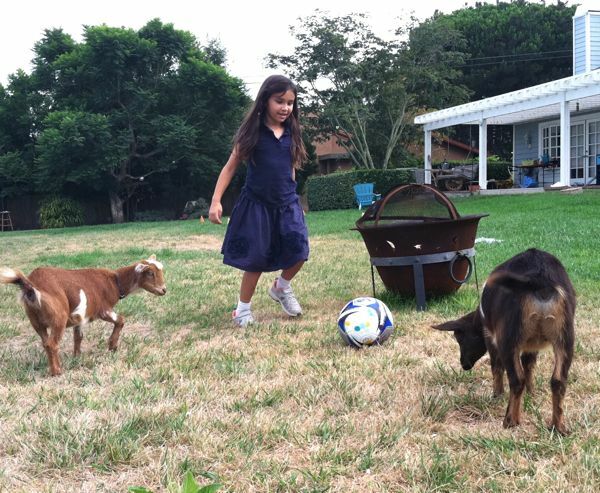 Soccer with Goats. Love it. 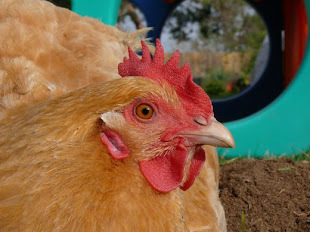 By the way - I love reading your birdhouse bits. 'cause I forget it is not invisible!! Ah ha ha! This looks like fun! Looks like Maria is about to score a goal. What a great moment. Goat soccer... Brings back happy memories from the Old Country. Uh... who do we know from the Old Country, who played goat soccer!?! Are there pictures, newspaper clippings, maybe an account of a particularly good game? Come on! The goats... well, they may have raw talent, but their interest and focus were only half-baked! We hoped they would at least take to head-butting the ball, which Maria repeatedly demonstrated.